Each year at the start of summer it’s International Yoga Day but yoga can happen any time. Let’s try some fairy yoga play for kids—and grownups too. 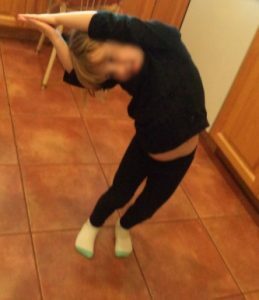 Some of these yoga poses are from mom Giselle in a Fairy Yoga post on KidsYogaStories.com. The kids and I have done yoga a few times. Needless to say, they bend their bodies much easier than I do mine. Not all fantasy creatures fly unless they have wings. This flying pose is usually called Warrior Pose 3, but instead of arms stretched in front, they are at the sides. Balance on one leg, lift the other behind you. Change to the other side and leg. The butterfly pose also has wings but this time, legs are wings instead of arms. Sit tall and bend legs down with the bottoms of feet together. Move knees up and down to fly. Who might use their leg to fly? Some fairy beings swim, like water sprints and nymphs. Lie down on the floor or a mat on your tummy. Lift up the top part of your body, including arms. This little one has part of it but we caught the photo before she got her arms up. Move arms to swim. Fairies, elves, dwarves, gnomes, sprites, imps, and other beings are often found in forests. What are forests made of? Trees, so we did a tree pose. Stand tall and stretch arms high into the sky. Bend and lift one leg soit rests on the other knee. Have you ever seen one of these beings? They can be very still and quiet. Practice lying on your back with arms and legs a little spread out. Breathe in and out softly and slowly. Big Sister is showing us this one. Yoga benefits us on different levels. Increased strength, coordination, balance, body awareness, and flexibility are some physical ones. The brain builds mind-body connections and practices focus and concentration. Emotionally, yoga increases self-regulation and relaxation, and decreases anxiety and stress. We all know kids absolutely need to move. Yoga can help meet that need. 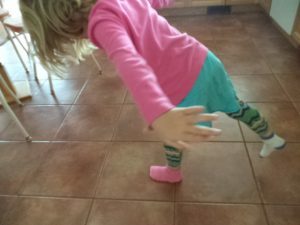 Can your child’s day include some fairy yoga play? P.S. Just like our other fairy activities, this can be done by both girls and boys. There will be more plays-of-the-day on the blog tomorrow. Excitement growing at your house? 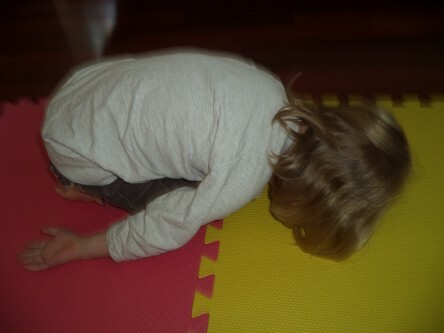 Here are a few kids Christmas yoga poses shared from last year that are both fun and calming. Hmmm…maybe adults need them too. Catch a Snowflake: Go down on all fours, kneeling on your knees. (This is the table pose.) Lift your head up, tilt it back, and open your mouth to catch snowflakes on your tongue. A Holiday Heart: This time of year touches our heart. Lie all the way down on a mat, press down with your hands and lift up your heart (upper body). The Candy Cane: Your body will almost look like one. Stand on two feet and stretch high over the head with two hands together. Curve the upper body over to the right and take a deep breath. Let it out and come back to the middle. Now curve over to the left, deep breath, and back to the middle. The Snowball: Curl down, down, into a ball on the floor. The Star: Stand with your two feet wide apart. Then stretch your arms out to each side. Your body will be like a big X or a star. The Christmas Tree: This is the tree pose. Put the palms of hands together and stretch over the head to make a star. 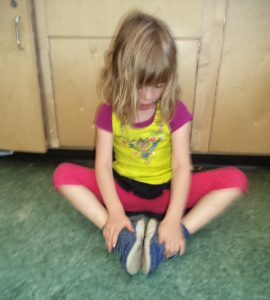 Stand on one foot and put the other foot on the knee to make a triangle. It’s hard to balance on one foot and easy to fall over. That’s okay because it takes practice to stand on just one foot. Yoga works on different levels. Physically, it promotes strength, balance, flexibility, coordination, concentration, and body awareness. On a mental level, the movements build important connections in the brain. 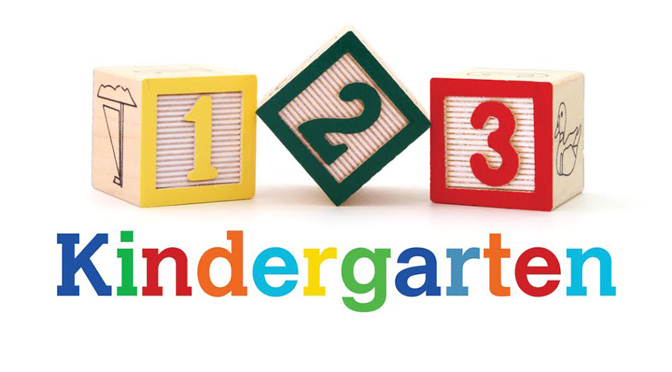 This creates pathways that are also used for math and language. Social and emotional skills like cooperation, confidence, and self-regulation are enhanced with yoga. Yoga helps increase confidence and decrease stress and anxiety. All of us can use these kids Christmas yoga poses. 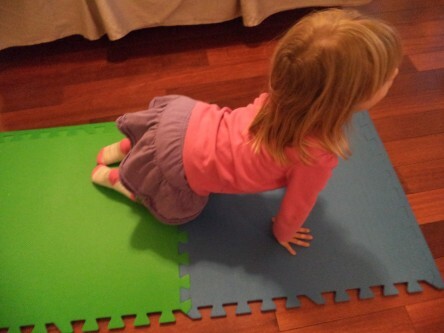 Do you and your child do any yoga? 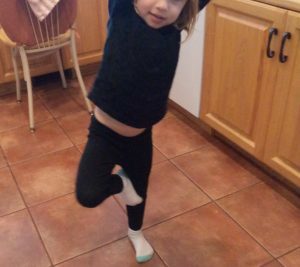 Today’s play-of-the-day is some fall yoga for kids. No matter the season, kids absolutely need to move, not only for bodies but for brains too. Movement activities can include vigorous whole body ones like going to the playground, racing around in the yard, jumping on a mat in the living room, or running up and down the hallway. 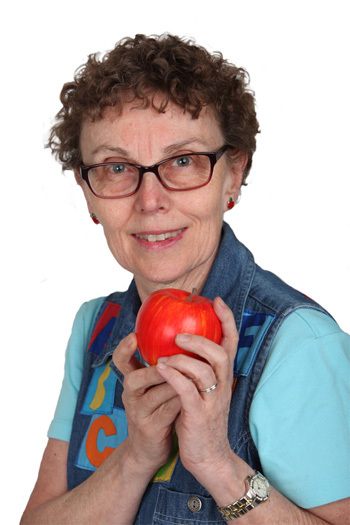 They can also be ones that help kids slow down, stretch, and balance. Yoga is super for this. These fall yoga for kids ideas help boost energy and relax. This time of year, trees are losing their leaves. 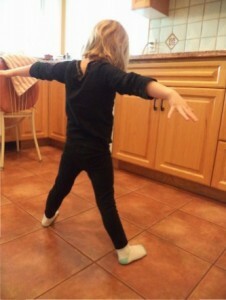 Little Sister loves to do the tree pose. To be a tree, stand with feet together. Next, balance on the left leg and lift up the right foot. Slide it up the straight leg and point the right knee out to the side. 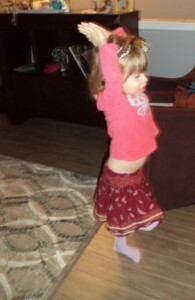 Balancing on one foot is pretty tricky for little ones and they may only get their foot up a little way. It’s okay if the tree is wobbly. Trees have high branches so slowly lift arms into the sky. Slowly lift the arms high over the head until hands touch so high the hands touch together. Yoga also helps us tune in to the power of our breath. Because the weather is getting cooler and food is getting harder to find, many birds are flying south for the winter. 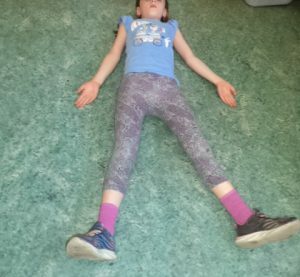 The website, Kids Yoga Stories, has a flying bird breath suggestion. Start by standing with feet together and arms down by the sides. This is so energizing, it almost feels like we could fly. In the autumn, lots of garden vegetables and fruits rest on the ground. Pumpkins, acorns, and apples are some we might see. To be a pumpkin on the ground, kneel down on knees and sit back on your heels. Kneel down and lower your body to sit back on your heels. Slowly bring forehead down to the floor in front of knees, arms beside legs. Some kids like to bend their elbows and have arms beside the chest. Take a few deep breaths. This is a restful pose when kids need to regroup. Stretch arms along the floor until your head is all the way down. Some kids like to rest with arms out in front, and some bring their arms back by their sides. This is usually called the child’s pose. Big Sister is doing this one. 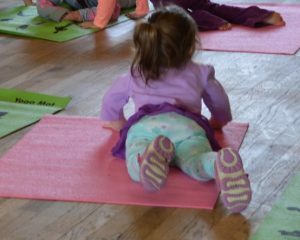 Fall yoga for kids is another great way to move and have fun. 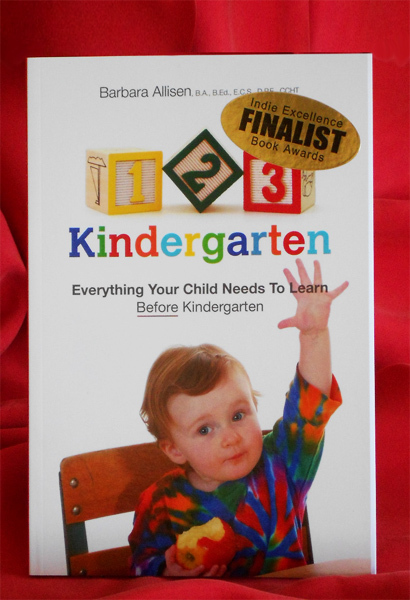 Would you and your child like to try?